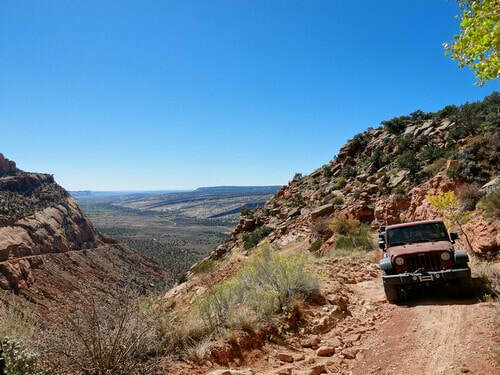 ​Follow Old Highway 95 from Texas Flat to Cottonwood Road, including the eroded dugway climbing up to Comb Ridge. 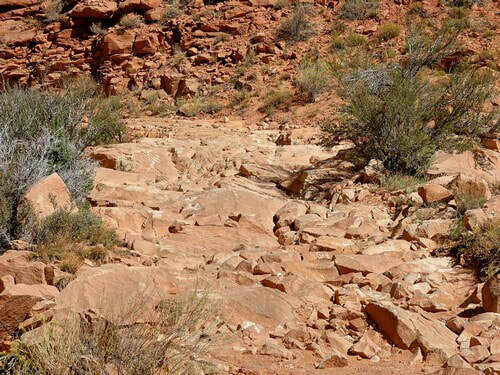 The Dictionary of the American West defines a dugway as, "A road or trail going through a high land form which is dug out of or excavated into the land form to provide a path for transport." It is a means of traversing a steep hillside without sliding down the slope. Sounds like a good name for what you will traverse as you climb up toward Comb Ridge. 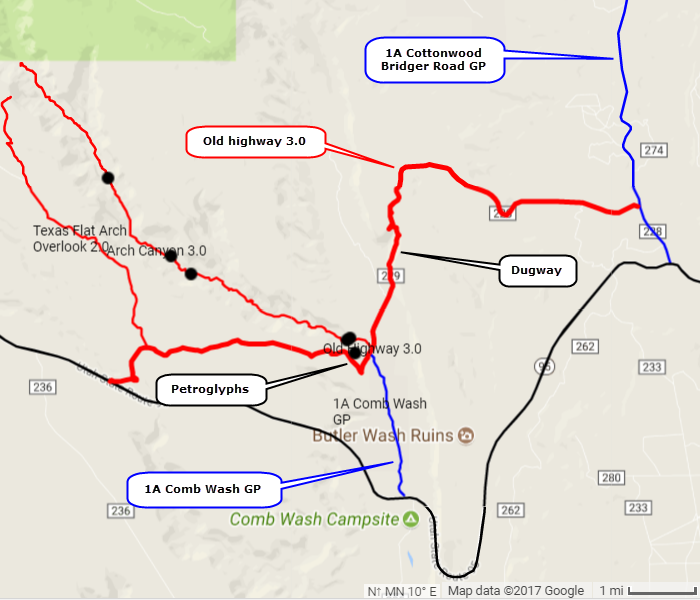 Begin your journey at Texas Flat then follow the old roadbed down into Comb Wash. 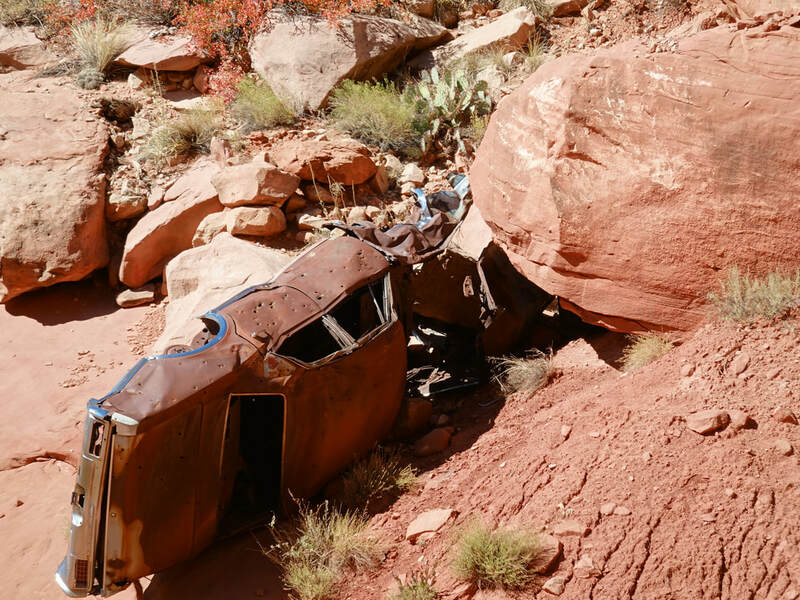 This section has some serious washouts. 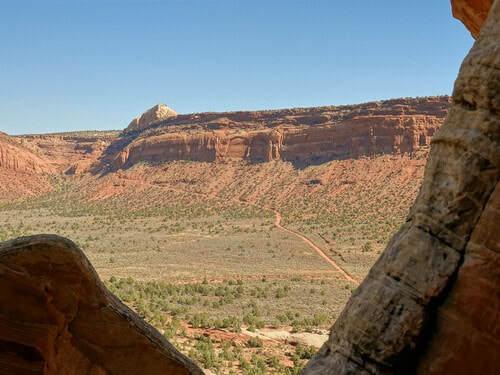 ​Almost to the bottom there is a large rock on the left that has interesting petroglyphs. 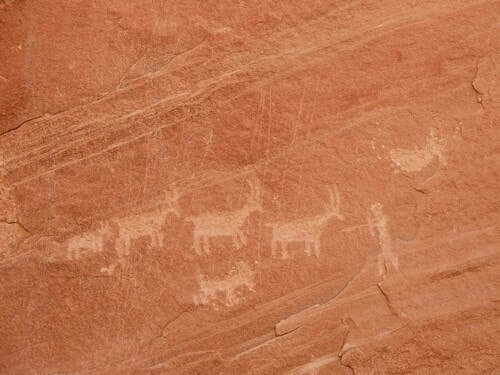 After viewing the rock art head across Comb Wash and up the dugway shown below. The road was smooth at one time but Mother Nature has sure changed that. A few sections geet a 3.0 rating. Nice view as you approach the top. Continue to Cottonwood Road on a MUCH better road.